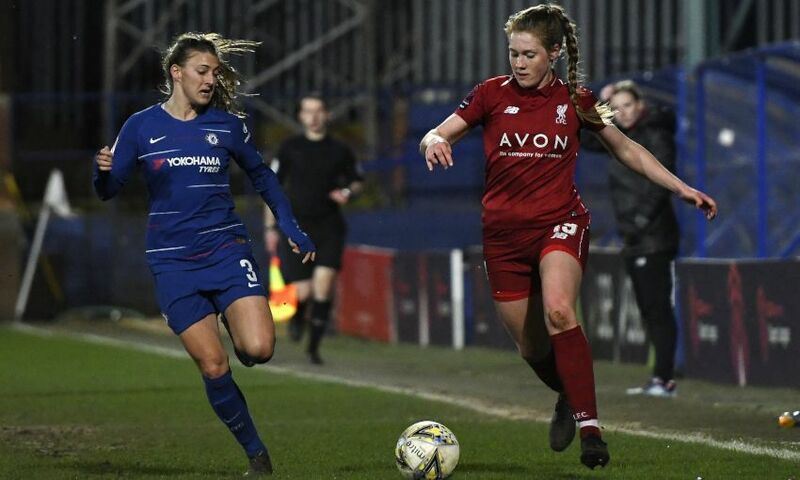 It was a frustrating night for Liverpool FC Women as they lost 4-0 at home to Chelsea FC Women in the Women's Super League. England star Fran Kirby made the big difference as she fired a hat-trick for the reigning champions at Prenton Park. Kirkby netted her first two goals inside a five-minute spell during the opening half. She started the scoring on 16 minutes and then netted a penalty to double the lead for the Londoners. The visitors almost grabbed a third goal on 28 minutes but Reds goalkeeper Anke Preuss showed her quality with a brilliant stop to deny an effort from Erin Cuthbert. Kirby completed her hat-trick to make it 3-0 six minutes after the break, and in stoppage-time Adelina Engman slotted in another goal. A big positive for LFC Women manager Vicky Jepson was the introduction of talented youngster Missy Bo Kearns, who came off the bench to make her debut for the final seven minutes of the game. Jepson's side will hope to bounce back when they face Manchester City away in the SSE Women's FA Cup quarter-final on Sunday. Liverpool FC Women: Preuss, Robe, Purfield, Rodgers, Little, Bradley-Auckland, Fahey, Coombs (Kearns, 83), Sweetman-Kirk, Linnett (Babajide, 52), Daniels (Hodson, 63).